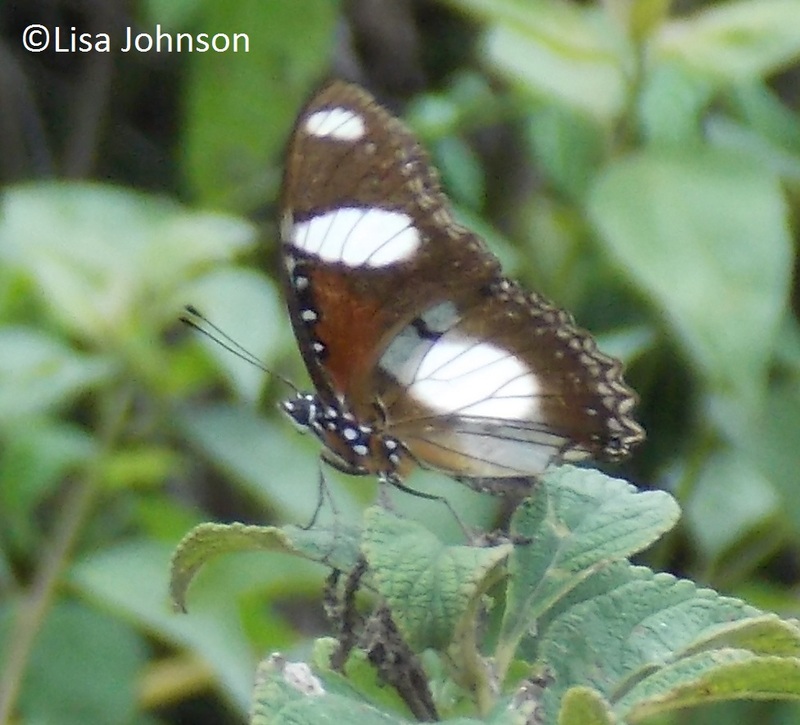 Identification: Upperside of male is purple-black with a large white patch on each wing. 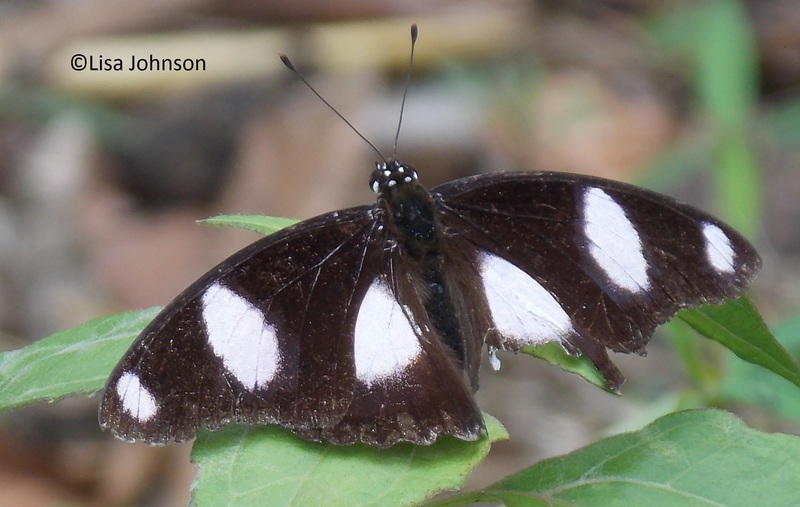 The most common form of the female is orange above; forewing has a black apical area divided by a band of white spots, hindwing has a black marginal band. The orange female mimics an African butterfly, Danaus chrysippus. Wing Span: 2 3/16 - 3 1/2 inches (5.6 - 9 cm). Life History: Males perch on or near the ground to watch for receptive females. Caterpillars live and feed communally. Flight: Two broods from April-May and September-December. Caterpillar Hosts: Various plants in the mallow (Malvaceae), acanthus (Acanthaceae), morning glory (Convolvulaceae), and purslane (Portulacaceae) families. Habitat: Tropical open, weedy areas. Range: Tropics and subtropics of Asia and Africa. Is now resident on several of the Caribbean Islands, and may have been introduced by slave trading ships. Infrequently wanders to Mississippi, Florida, and North Carolina.